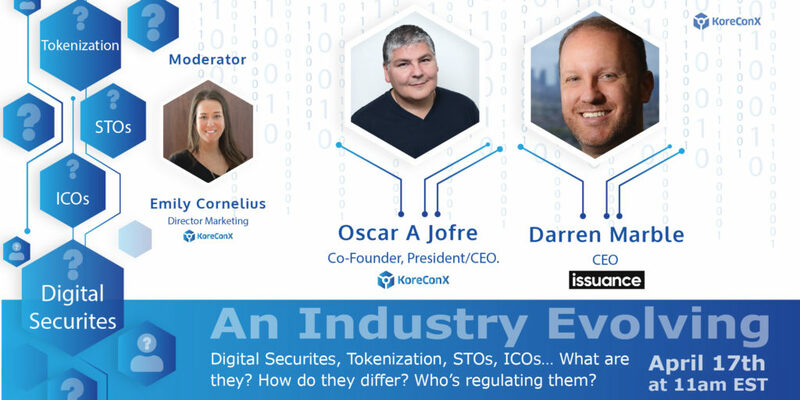 The Webinar “An Industry Evolving: Digital Securities, Tokenization, STOs, ICOs… What are they? How do they differ? Who’s regulating them?” will take place on Wednesday, April 17, at 11:00 am EDT.